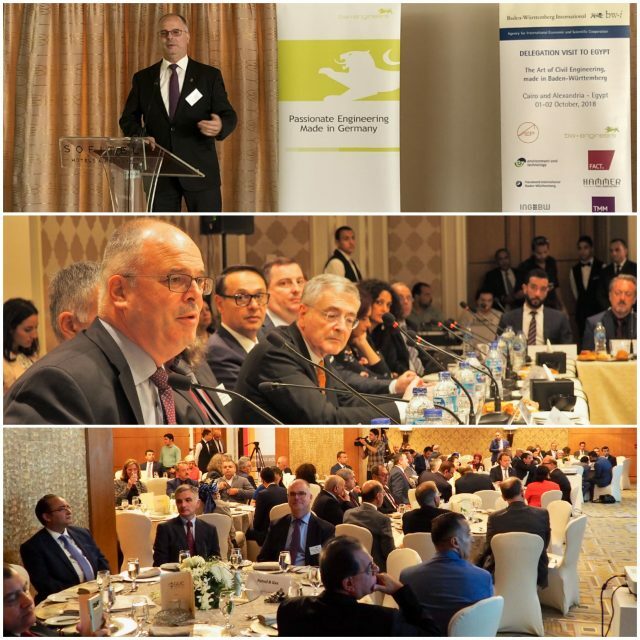 The business trip started with a meeting with about 100 top level representatives from the construction sector, related associations and politics including the Egyptian minister of Public Business Sector Hisham Tawfik and the German ambassador Julius Georg Luy. The delegation discussed with Tawfik in which sectors the collaboration with bw-engineers members and other companies from Baden-Württemberg could be initiated. 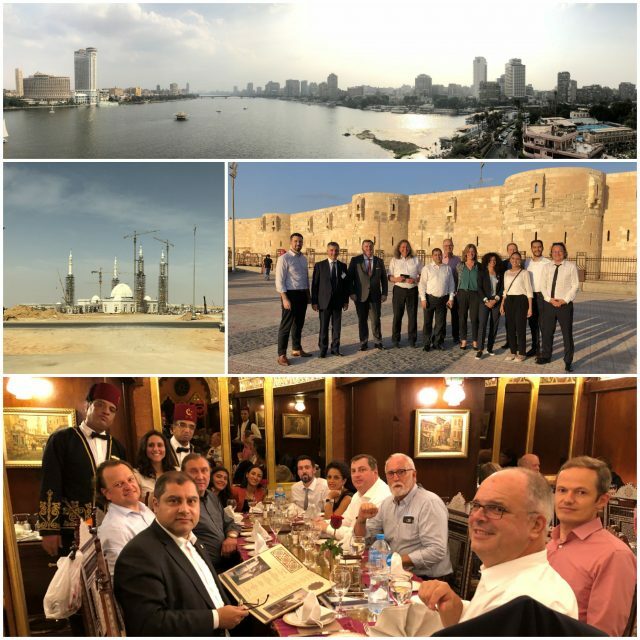 The main priorities for the delegation were two congresses (“The Art of Civil Engineering Baden-Württemberg”) held in Cairo and Alexandria. Besides et environment and technology, FACT GmbH and AEP Architects from bw-engineers, there were also Handwerk International Baden-Württemberg, VISIOVERDIS and the Hammer Stahl-Manufaktur introducing themselves to a high-ranking Egyptian audience from the construction sector and public authorities. Another key aspect of the journey was the signing of a resolution between the president of the Egyptian Syndicate of Engineers (ESE) Hany Dahy, the founder of the German University of Cairo (GUC) Prof. Ashraf Mansour and INGBW-CEO Daniel Sander to intensify their cooperation and to pave the way for business activities for our engineers in Egypt. At the site visit to the future Capital of Egypt New Cairo Capital City the spokesman of the administration Khaled Soliman explained to the delegation, that by the end of the first phase of construction in 2020, the administration will move into its new domicile. About six million people are supposed to live in the new city. Ahmed Abdien the managing director of NCC said that he hopes that Germany will continue to support them for the new capital as much as they already do. Therefore intensified cooperations with German engineering consultants are highly welcome.